One of the best-selling ski boots for female skiers world-wide – available in two totally different color schemes. 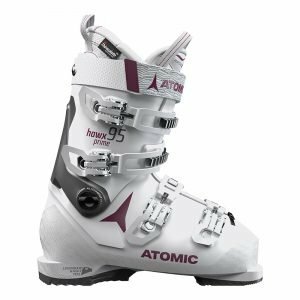 Fitted for a medium foot, and offering medium flex that’s more than sufficient for most experienced skiers, the Atomic Hawx Prime 95 W is a girl’s perfect partner for on- or off-piste. 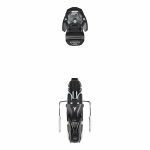 Skiers of all levels will appreciate the light weight thanks to Prolite – our revolutionary light construction, extra reinforcements where it counts. 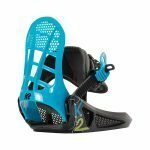 Those skiers’ feet will appreciate the comfort offered by our pre-shaped Memory Fit 3D Gold W liner. Finish making your boots yours with the Memory Fit boot-fitting process. All part of creating the Legendary Hawx Feel. Make your boots your boots – and you’ll never want to ski anything else.